*NOTE: This post contains affiliate links, but I will never link you to anything I don't trust and use myself. If you click and make a purchase using one of these links, I may make a small commission at no extra charge to you. Thanks for supporting Little Things, Love... and Reality. *AND: I am not a doctor. Please don't take this as medical advice, but simply a personal experience resource. I felt no significant change taking any of them. As you've read, I actually just continued to worsen. Not only was taking all of these annoying, it was flippin' EXPENSIVE. Since going back on my meds (Sertraline and Hormonal birth control), I have simplified my supplement routine immensely. I take my two above mentioned pharmaceutical pills at night before bed. I like this one because it contains specifically B vitamins, Magnesium, Selenium, and Iodine. There aren't many multi-vitamins that contain Iodine, which I've done lots of research on. It's VERY important, and I do believe Americans are deficient. That's a whole other blog post. I know that birth control saps many nutrients from my body, so, this is a small step to replenish. I firmly believe that gut health is crucial for health. I believe gut health directly affects my anxiety, depression, and hormonal issues. I've always had frequent, persistent heartburn and plenty of *ahem* bowel issues. I have taken some type of probiotic for years now, even when I was on the anxiety meds before. But, honestly, I never really felt any of the benefits. I just trusted it was helping. Within the last few months, I read about the fact that persistent heart burn and bowel issues actually stem from too little stomach acid. I had always thought heart burn was from too much! So, about three months ago, I started the Super Enzymes. FINALLY, I have felt a difference in my gut! I still get occasional heart burn, but it subsides with a shot of Apple Cider Vinegar. I no longer have any antacids or heart burn medication in my house! That's kind of a miracle. This routine of meds and supplements is simple and minimal, and I can bring myself to take all of them even on bad days. When I had bad days using all the other supplements and essential oils, it felt overwhelming, and I just wouldn't care to do it. How about you? Have you ever felt whelmed by all of the supplement options out there? 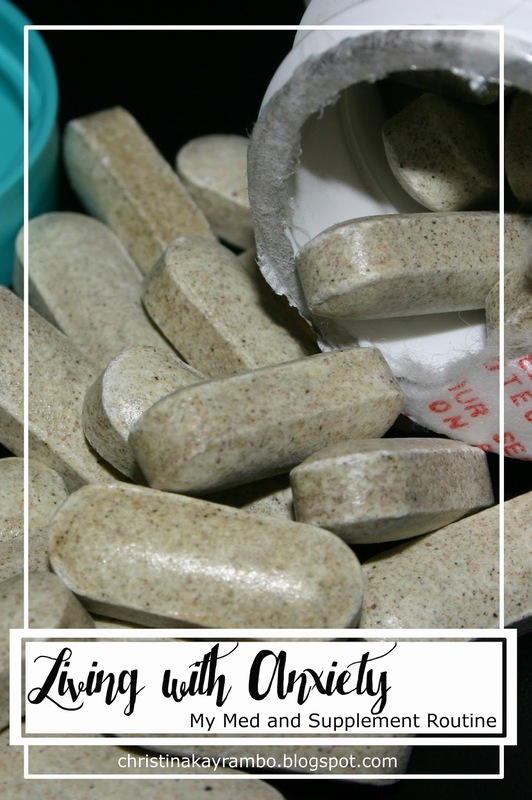 Are there any supplements you can't be without? I know we should technically just be getting our nutrients from good food, but reality is it just doesn't happen that way for me. I take most of the supplements at the top. I think magnesium and B have helped me. I was looking for a new enzyme. I will give the Now a try. Thanks. I hope it works for you! It's really made a huge difference for me.